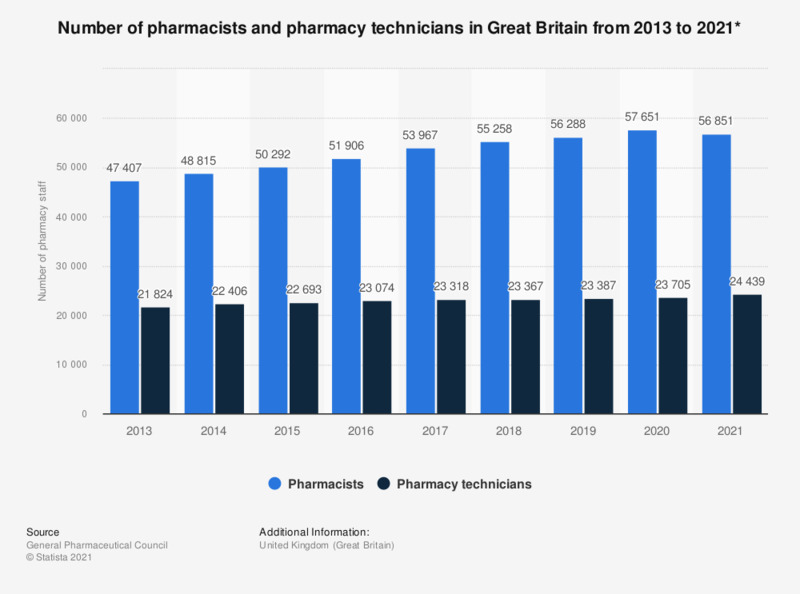 This statistic displays the number of pharmacists and pharmacy technicians in Great Britain from 2013 to 2018. As of 2018 there were 55,258 pharmacists in Great Britain which shows a steady increase since 2013. Everything On "Pharmacy care in the United Kingdom" in One Document: Edited and Divided into Handy Chapters. Including Detailed References.